You must make a map with the primary focus on teleportation and you can go with any game mode for any official Valve game on Steam. 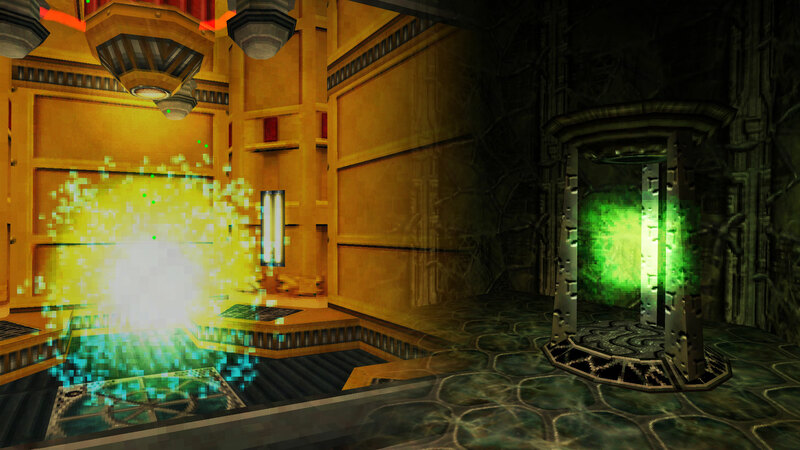 Will you create a singleplayer adventure that sends the Gordon Freeman to some outlandish realm beyond Xen and back again? Perhaps a deathmatch map riddled with slipgates that shoot players across the world. Maybe you have a collection of unfinished maps and simply want to fire an unsuspecting player between them in some totally abstract fight to the death. Whatever you like! So long as something ends up where it wasn’t before, preferably more than once, it will likely qualify. One point to note, if you opt to use Portal or Portal 2 for your entries, the portal gun does not count. You’re going to need to think of some other unique way to transport the the player in addition to the standard mechanics! So long as your entry works with any Goldsource or Source game on Steam and does not overwrite any existing files, you can include any custom content you desire, with the exception of custom code. However, the entries will be reviewed purely on the map and its relevance to the theme. Custom models and flashy new effects might look great, but don't waste too much of what little time you have on them. Note: Any custom content included that you have not created yourself should be properly credited in your readme.txt file. Entries close on April 22nd. Good luck! Post any questions, comments, or screen shots to the official forum thread. Processed in a potentially hairy 7 milliseconds.